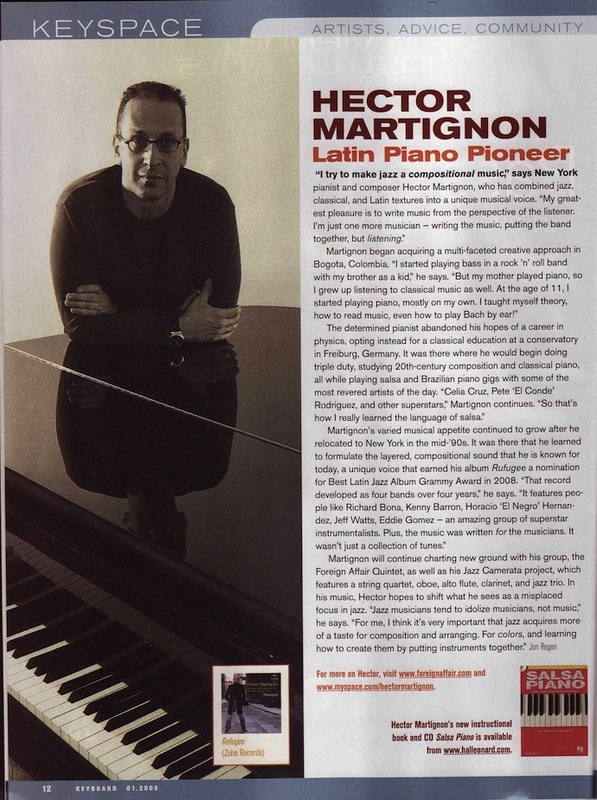 …Superlative Afro-Latin jazz release (REFUGEE) by pianist Héctor Martignon. Martignon, who has worked with Irazu, Ray Barretto, Luis Bonilla, and Descarga Boricua, has brought together a crew of amazing players … The result is a nearly overwhelming blast of rhythm and chordal slight of hand. Recorded in four sessions, each with different players.